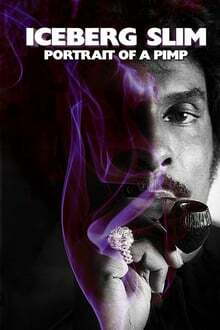 ‘Iceberg Slim: Portrait of a Pimp’, examines the tumultuous life of legendary Chicago pimp Iceberg Slim (1918-1992) and how he reinvented himself from pimp to author of 7 groundbreaking books. These books were the birth of Street Lit and explored the world of the ghetto in gritty and poetic detail and have made him a cultural icon. Interviews with Iceberg Slim, Chris Rock, Henry Rollins, Ice-T, Snoop Dogg, and Quincy Jones.